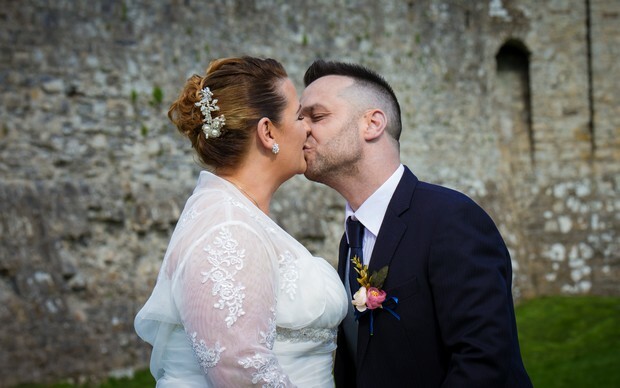 We met… in the UK through friends. 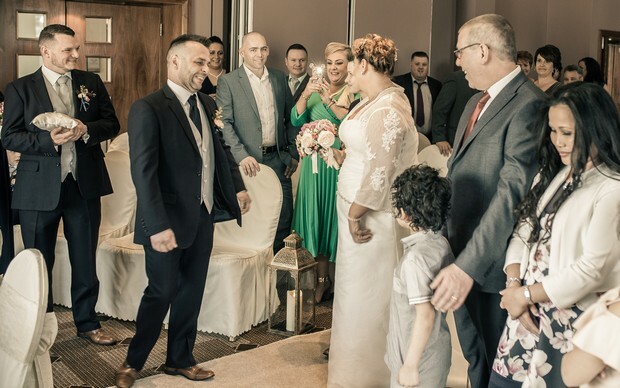 Our proposal… Marcus proposed during our son’s christening. 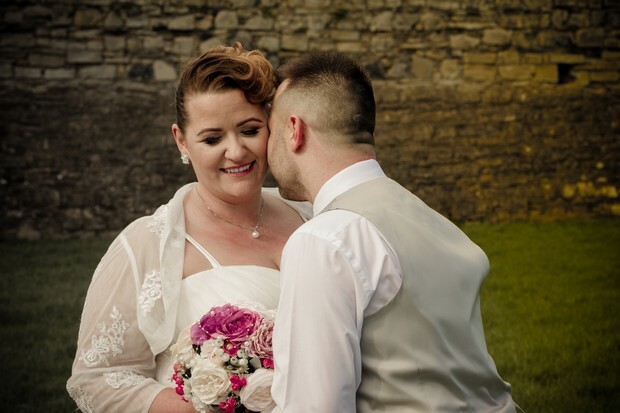 My look… my dress was simple and elegant with a lace jacket. 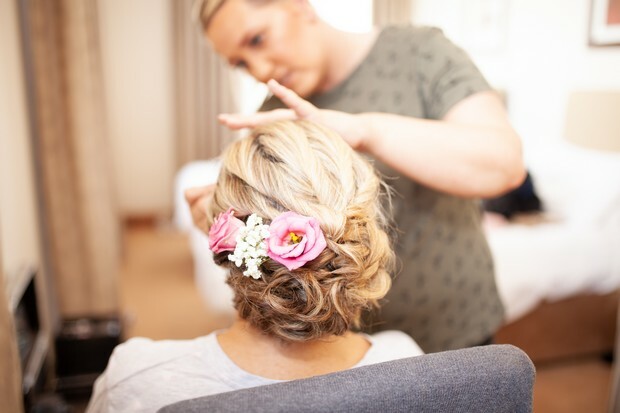 My hair was up in an elegant vintage style – it was done by So Belle Hair & Beauty in Trim and my make-up was done by Catherine McKeon. 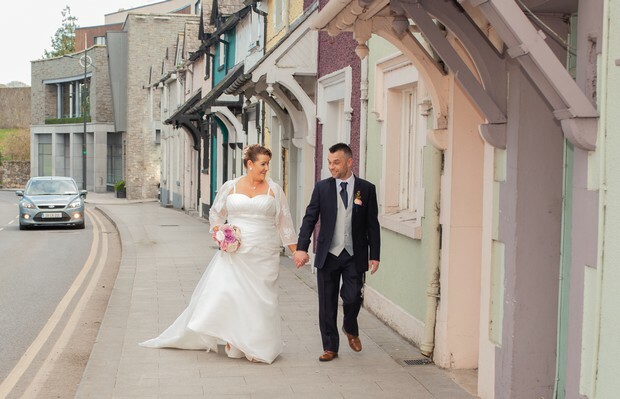 His suit… was navy with a grey waistcoat and was from Pat O’Byrne’s in Trim. 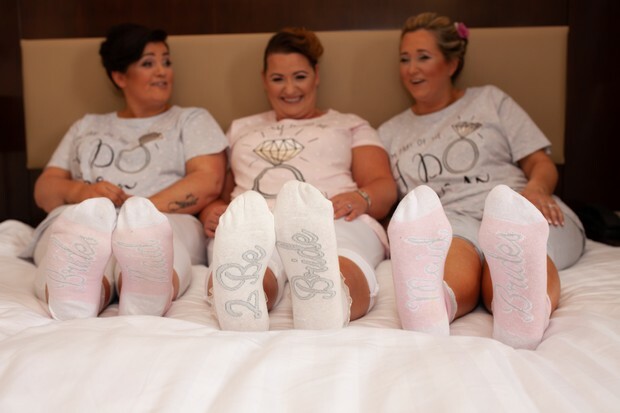 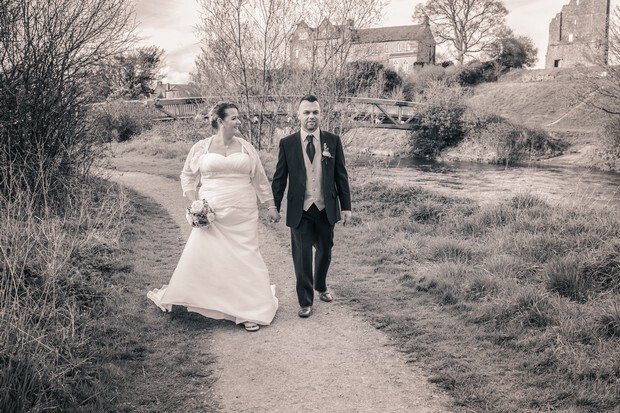 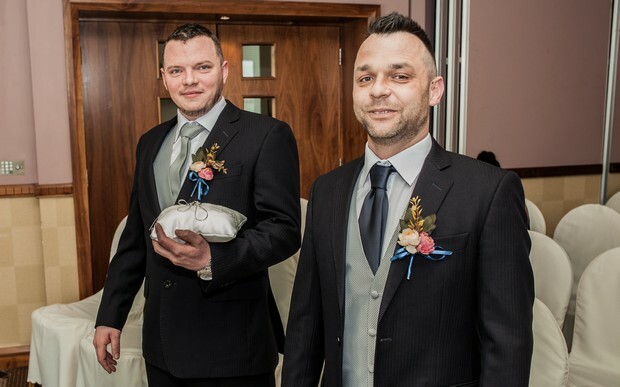 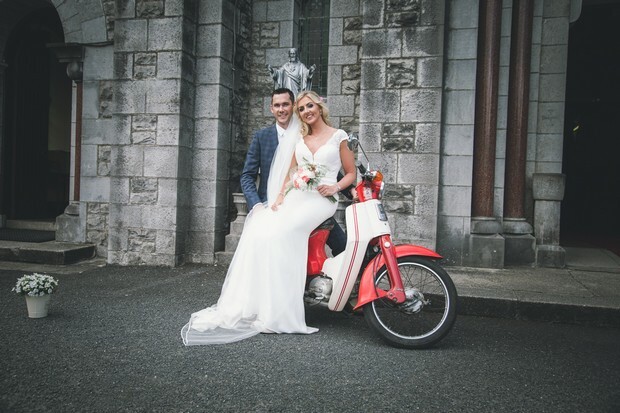 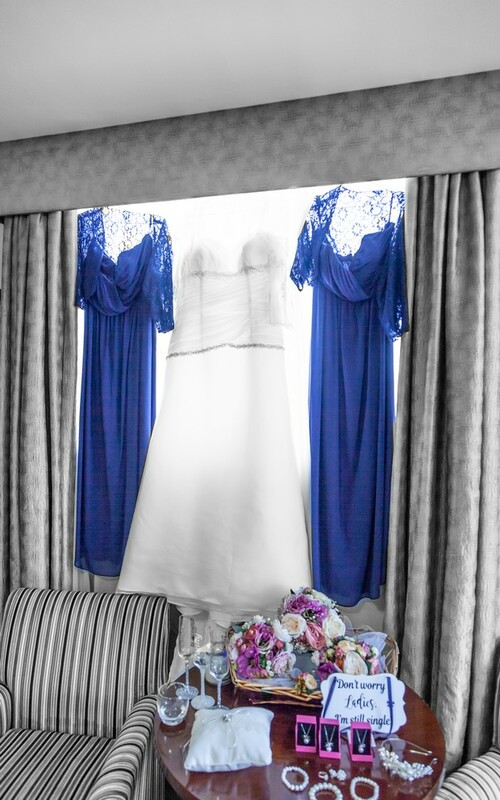 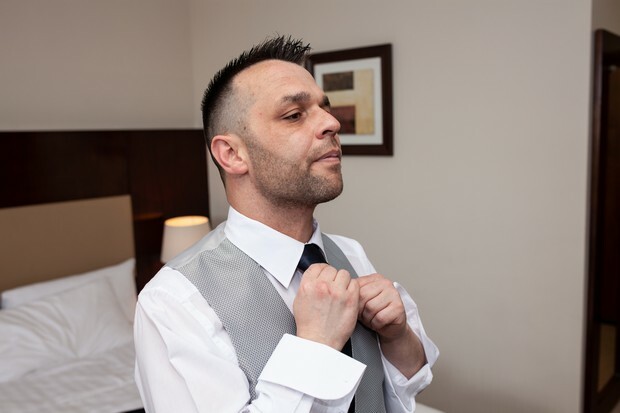 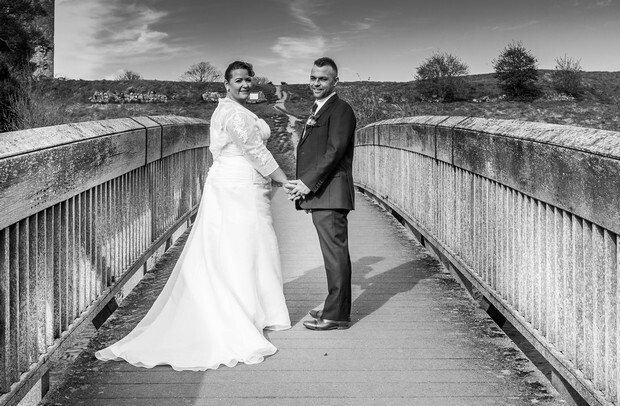 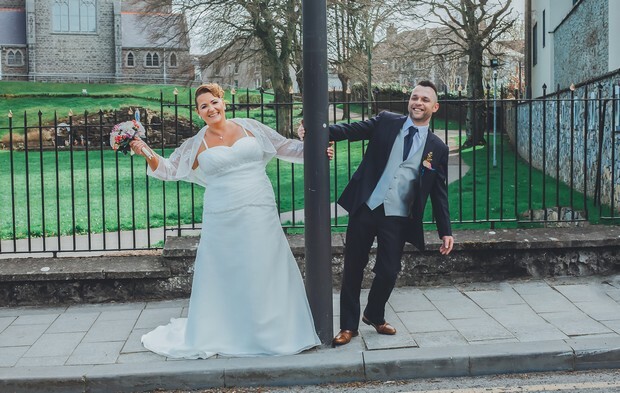 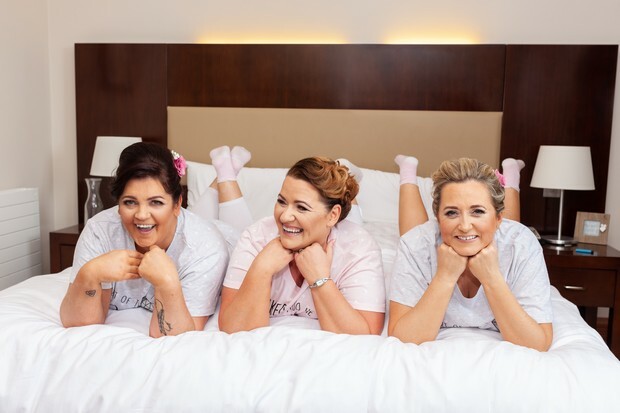 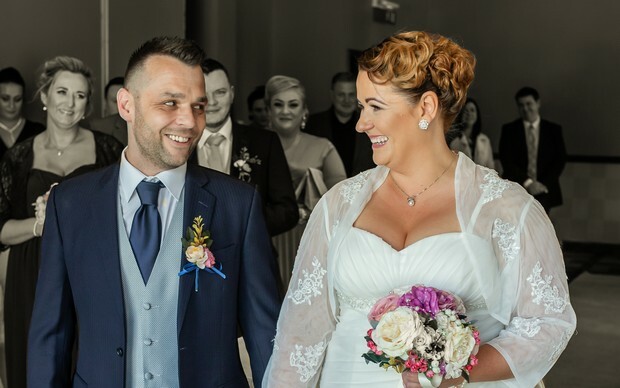 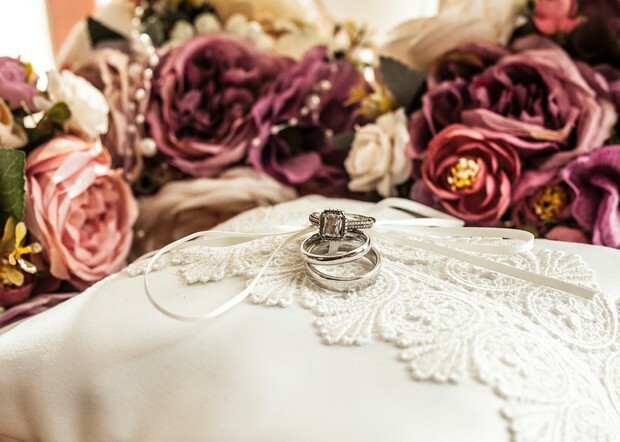 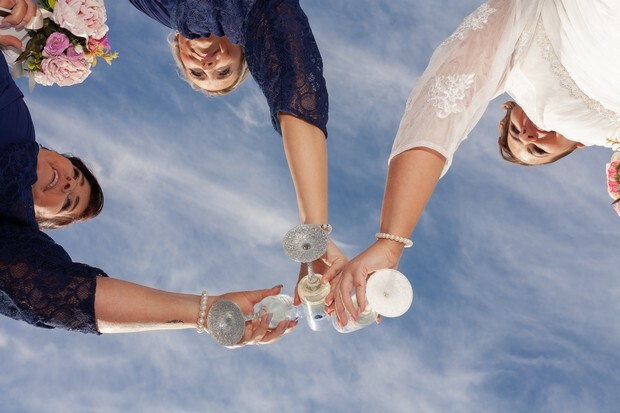 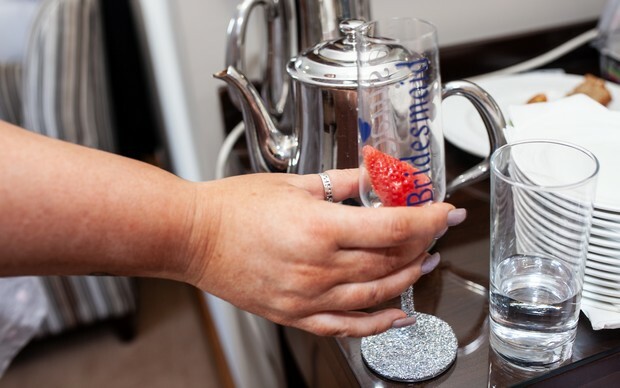 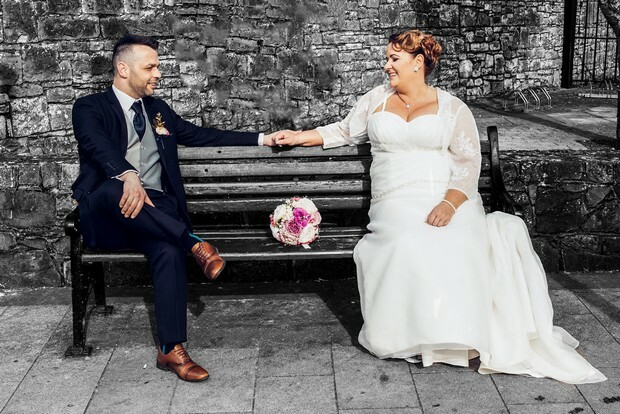 We chose our photographer because… we won our photographer through weddingsonline – Peter Bell Photography was amazing. 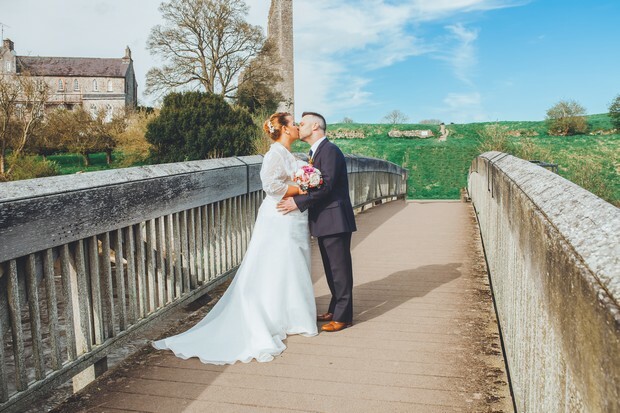 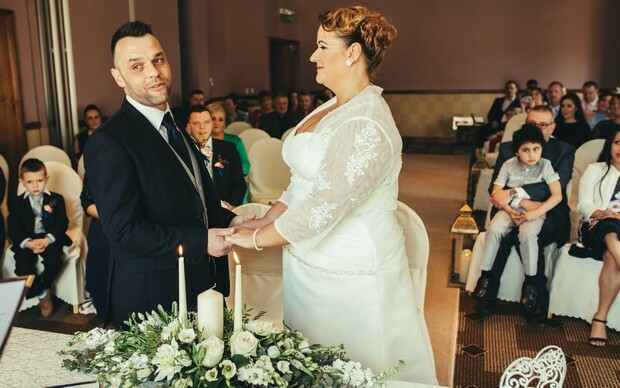 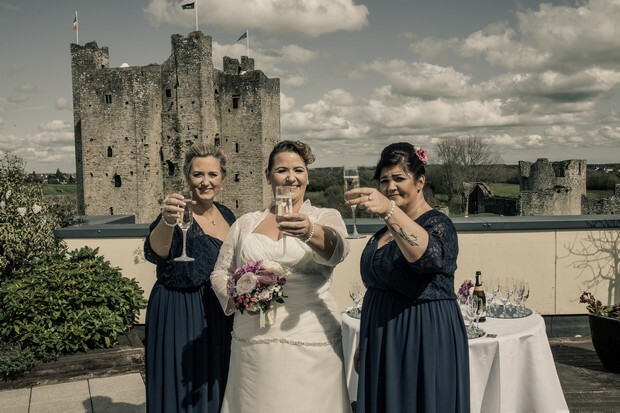 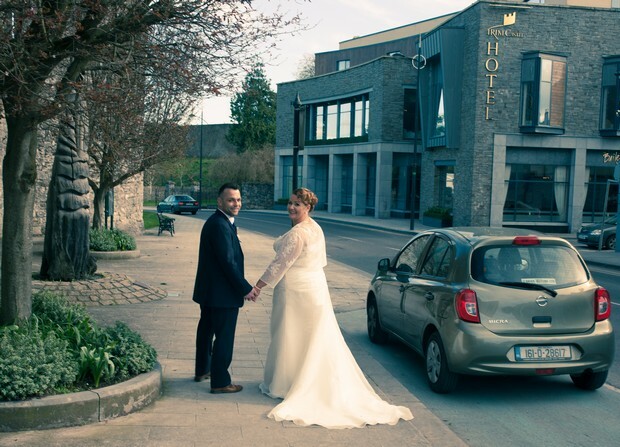 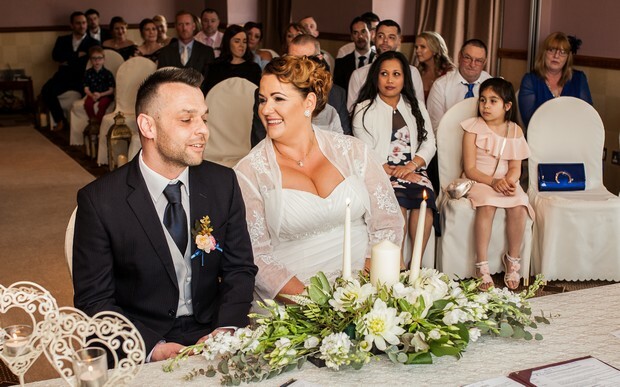 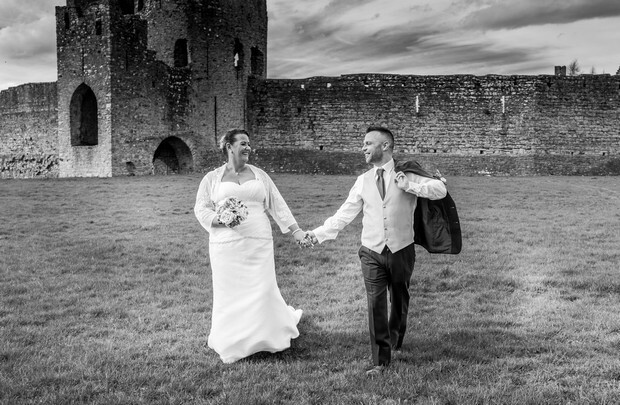 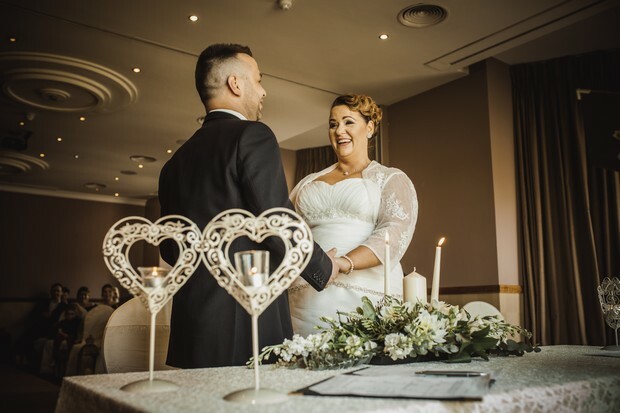 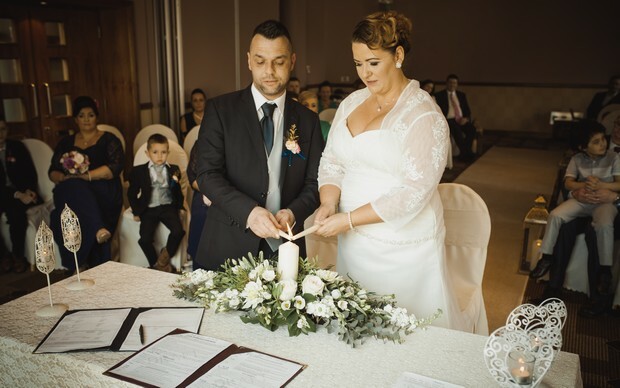 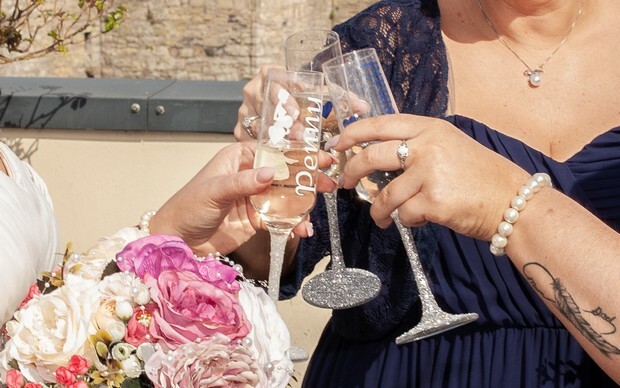 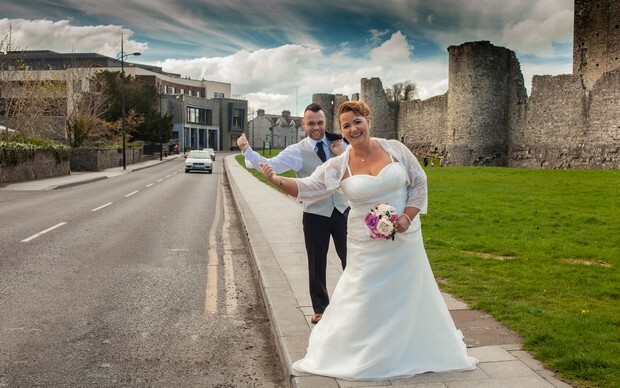 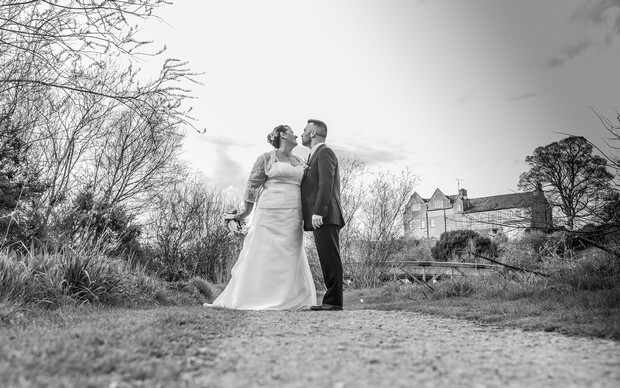 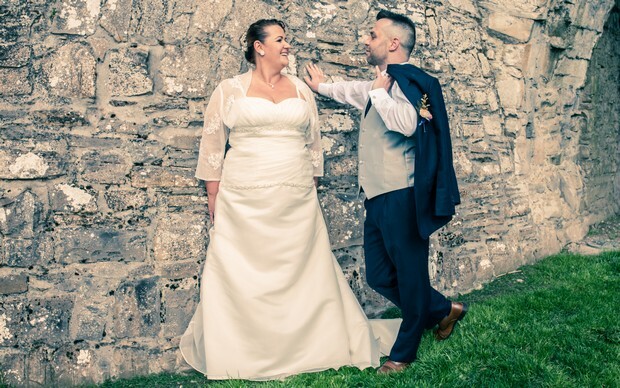 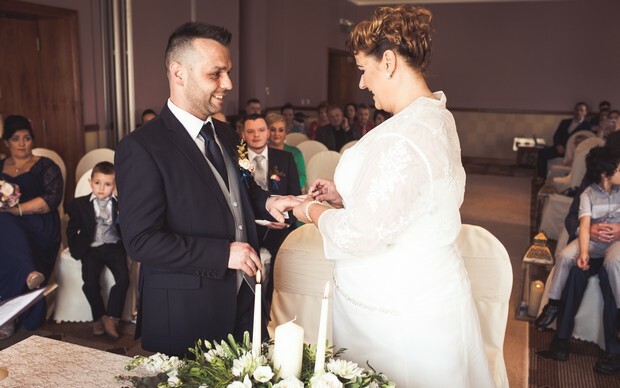 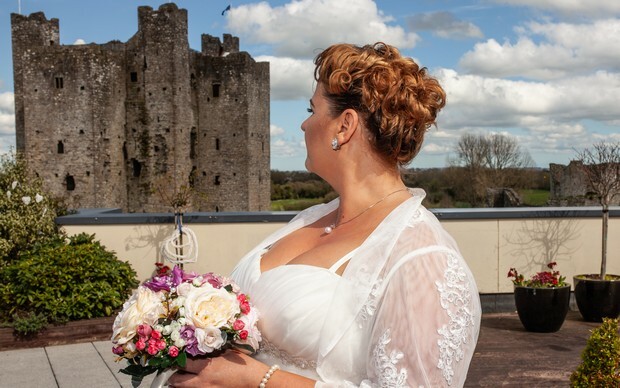 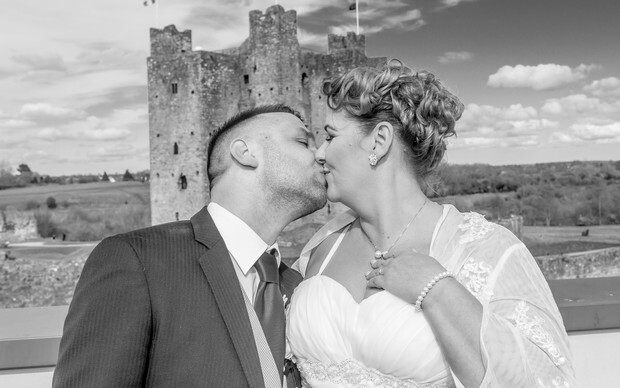 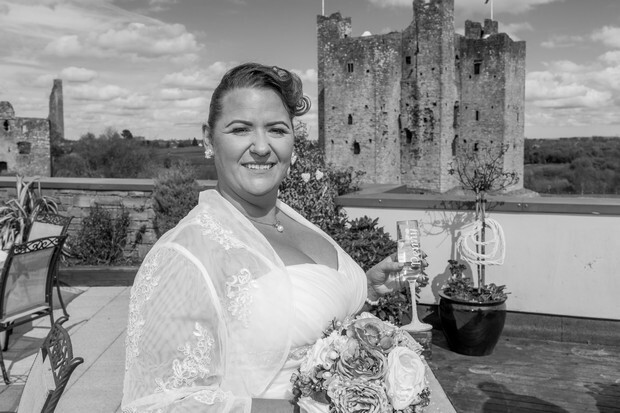 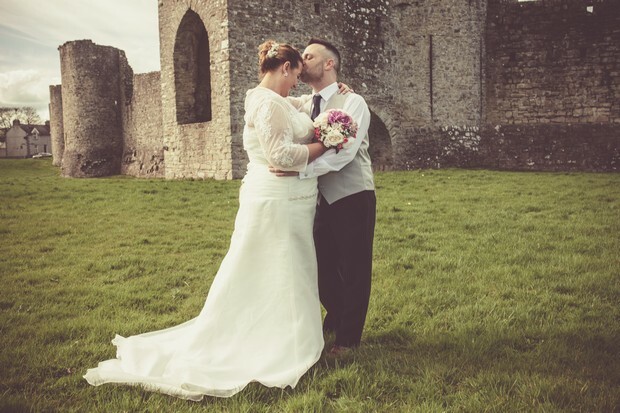 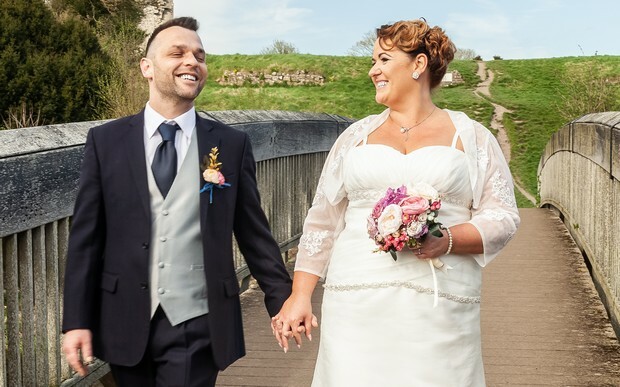 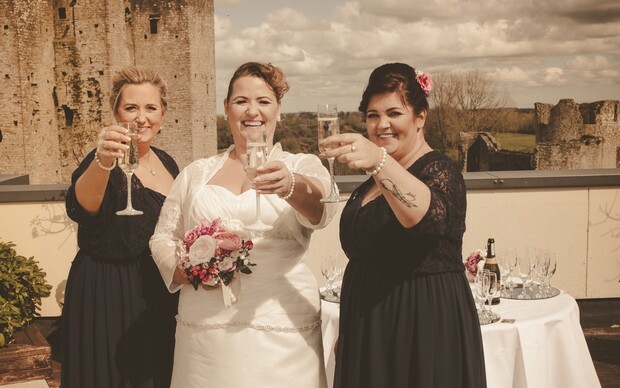 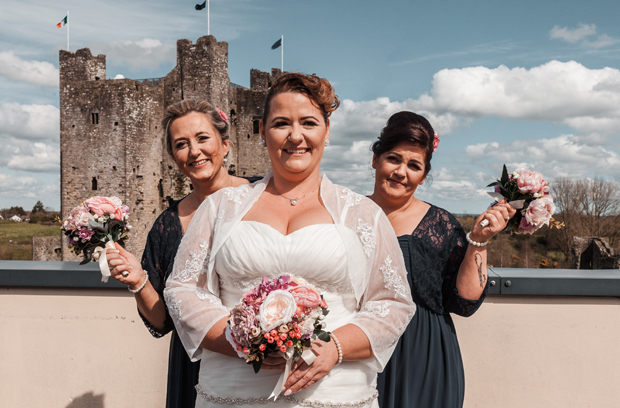 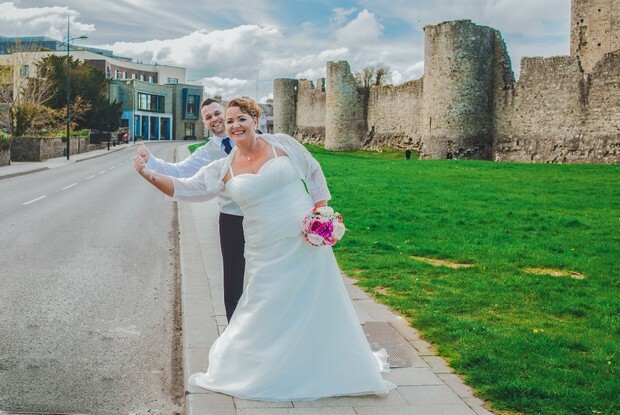 We chose our venue Trim Castle Hotel because… of its stunning location. 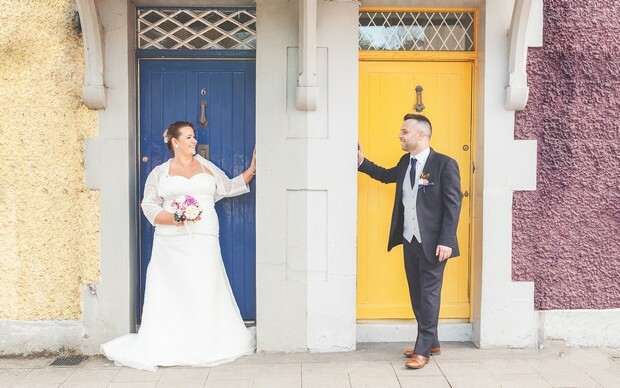 Our wedding theme/colours… vintage – cream and navy. 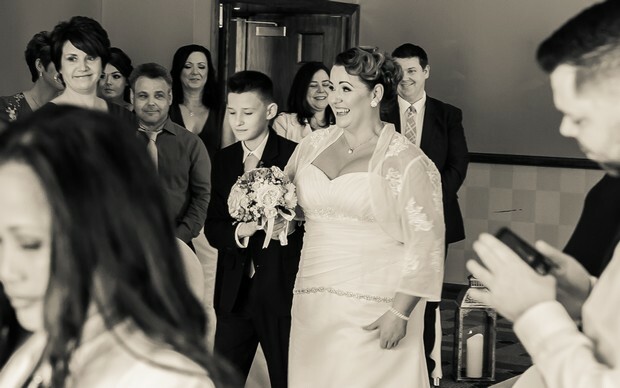 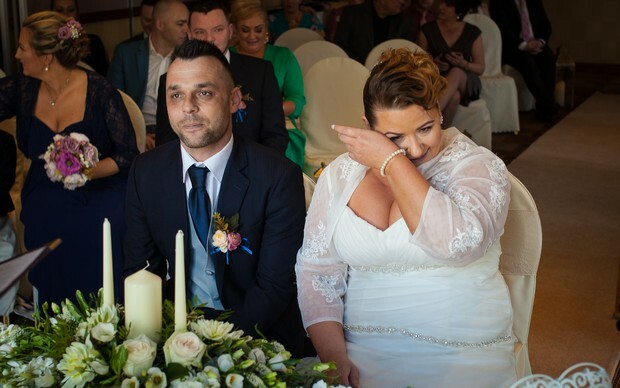 My favourite part of the wedding day… all of it, it was amazing from start to finish. 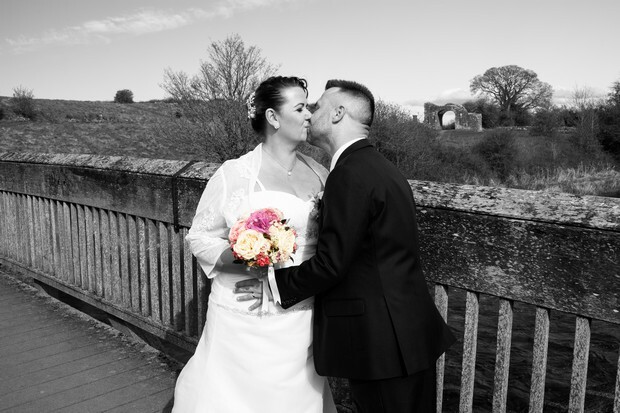 My piece of advice for other couples… Just enjoy every second of it, it goes by so quickly!